It began with a job posting on the NPR website. NPR is looking for a new ombudsman to replace Edward Schumacher-Matos who has held the post for the past three years. He steps down in September. The ad seemed perfectly boiler plate: "experienced journalist, knowledge of public radio, good communications skills, etc." But two sentences in the original job posting stood out to close observers of the public radio world and to those who know how an ombudsman must function. Jay Rosen, a highly regarded professor of journalism at NYU, contacted me to ask if this is the new normal for ombudsmen in general and at NPR in particular. When I told him it was not, he wrote a scathing condemnation in his blog Pressthink. Rosen's blog concludes: "NPR has downgraded the ombudsman position. Two former ombudsmen agree with this. To understand why, just think about the effect that "your job is not to pass judgment" has on the pool of potential applicants. It's likely that similar moves by the Washington Post helped clear the way. It's possible also that dissatisfaction with the performance of previous ombudsmen contributed to the decision, along with the feeling that criticism rains down from all sides nowadays, so why do we need an in-house critic?" Other online and media criticism of NPR's decision followed. 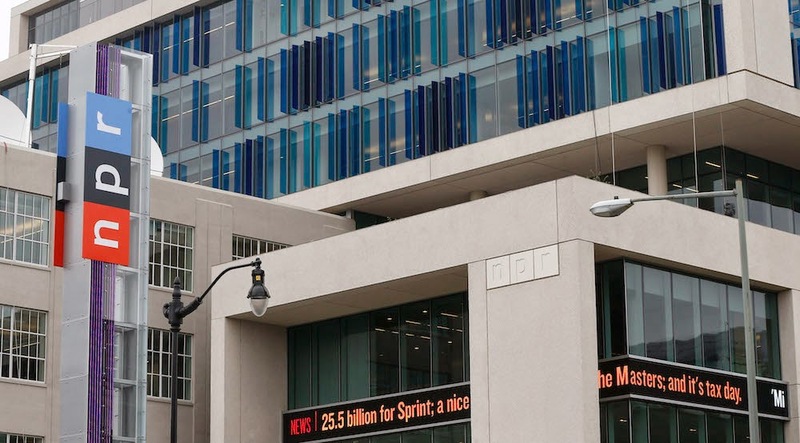 Joe Strupp, senior reporter for Media Matters for America, looked at this issue from the perspective of the public radio stations, who have always been strong supporters of the ombudsman at NPR. Every general manager Strupp interviewed said this would be a retrograde move. At the same time, social media weighed in on Facebook and Twitter. Last Thursday NPR finally relented and NPR's new president Jarl Mohn put out a news release stating that the original job description was "flawed." It was rewritten and can be read here. However, prior to that decision, Minnesota Public Radio also asked two senior managers at NPR how this was allowed to occur. Chief Content Officer Kinsey Wilson and soon to be departing Senior VP of News and Information, Margaret Low Smith (Smith's departure was announced prior to this embarrassing incident) were unapologetic. Kinsey and Smith used the opportunity to deflect the original decision and to attack Rosen. Kinsey said Rosen "did a lousy job of reporting and instead chose to opine based on singling out some words in a job description and a couple of words from ex-ombudsmen." (Emphasis added). Smith took on the critics from public radio station who also objected to the change in the job description. "I honestly thought (the Rosen article) was a lazy piece of reporting. (Emphasis added). I would ask you to believe and give us the benefit of the doubt..."
Here's what I did in reporting my post. I will leave it to journalists to decide if I was being 'lazy' as Kinsey Wilson said. * To make sure my impression(that NPR ombudsmen routinely comment and make judgments) was correct, I reviewed dozens of past columns and found some typical examples. * I contacted several former NPR ombudsmen for comment and quoted two who would go on the record. I also got from one an earlier job description for the position. *I contacted several ombudsmen or former ombudsmen at other national news organizations and quoted one who went on the record. *I know more than a few people who work at NPR and they know me. I knew they wouldn't comment on the record but I talked with them to check my assessment against theirs and make sure I wasn't crazy. * I contacted NPR's spokesperson around 10:30 am July 15, and said I wanted to post the piece that evening, so could she please get back to me by 5 pm. I also told her that two former ombudsmen interpreted the language the way I did, so there was a zero chance that NPR would be surprised by my take. I later spoke to the NPR spokesperson by phone to clarify what I was asking about. * I received the NPR statement around 5:30 pm July 15, and published it in full. NPR isn't PBS. And why should public broadcasting be defunded?